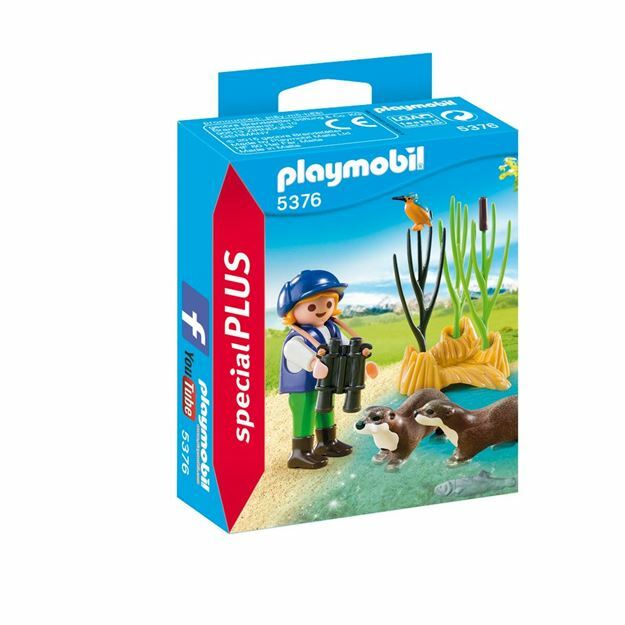 The Playmobil Young Explorer with Otters features a young explorer with trusty binoculars looking for wild animals. As the explorer peers into the distance they can see a mother an baby otter hiding in the reeds, with a small bird looking on. Includes: an explorer, binoculars, 2 otters reeds, fish and a bird. Part of the Special Plus Range. Age 4+ years. Distributed in New Zealand by Holdson.